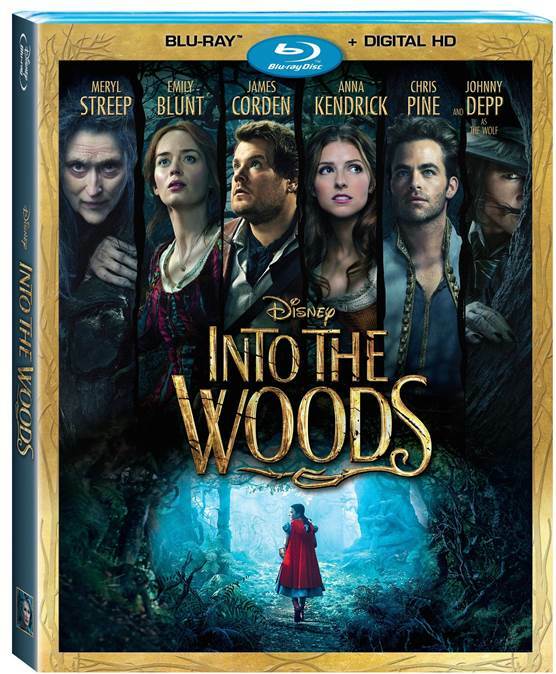 ‘Into The Woods’ Arrives On Blu-Ray & DMA On March 24th! From the director of “Chicago” and the producer of “Wicked” comes a modern twist on the beloved fairy tales you thought you knew. Academy Award®-Winning actress Meryl Streep (Best Actress, The Iron Lady), leads an all-star cast in this enchanted adventure about daring to venture Into The Woods. And a spell is about to be cast on you when it arrives on Blu-ray and Disney Movies Anywhere on March 24th! Meryl Streep performs a compelling new song that sheds a little more light on the Witch’s relationship with Rapunzel. This never-before- seen composition was penned especially for this movie by Stephen Sondheim and James Lapine, and is seen here exclusively on Blu-ray and EHV. With introduction by Director Rob Marshall. Journey into this mysterious forest to discover how this compelling, new musical was made. Meet Director Rob Marshall and his award-winning team of artists and craftspeople, see how the woods were brought to life…and what they represent to the story…and to all of us. Emily Blunt. Anna Kendrick. Chris Pine. James Corden. Johnny Depp. Meryl Streep. Meet the remarkable cast of this musical movie, and hear of their affinity for this Broadway classic. Film commentary with Director Rob Marshall and Producer John DeLuca. Get direct access to the musical song segments from the film, with optional sing-along lyrics. Hasbro and Shout Factory has given TeenInfoNet the honor of reviewing My Little Pony Friendship is Magic: Adventures Of The Cutie Mark Crusaders. It doesn’t matter if you are two or fifty two, the My Little Pony DVDs are just the cutest and so enjoyable to watch. The latest upcoming DVD is no exception. 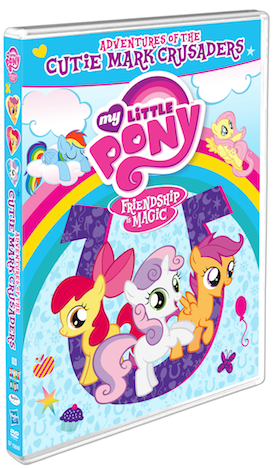 It is sort of appropriate that we say that this latest DVD is so cute because it is all about three pony friends Sweetie Bell, Scootaloo and Apple Bloom calling themselves the Cutie Mark Crusaders that are on a mission to get their cutie marks. The unique marks that set them apart from all other ponies. You will follow the Crusaders in 5 adorable episodes as they try to achieve their goal. Each episode will keep you riveted to the screen as you watch the ponies get themselves into one situation after another in their quest. For all the fans of The My Little Pony Friendship Is Magic series the ‘Adventures Of The Cutie Mark Crusaders’ is a must have for your collection. If you are not a fan then give this DVD a look and you will become a fan very quickly. TeenInfoNet rates this with a 4.5 out of 5 stars.